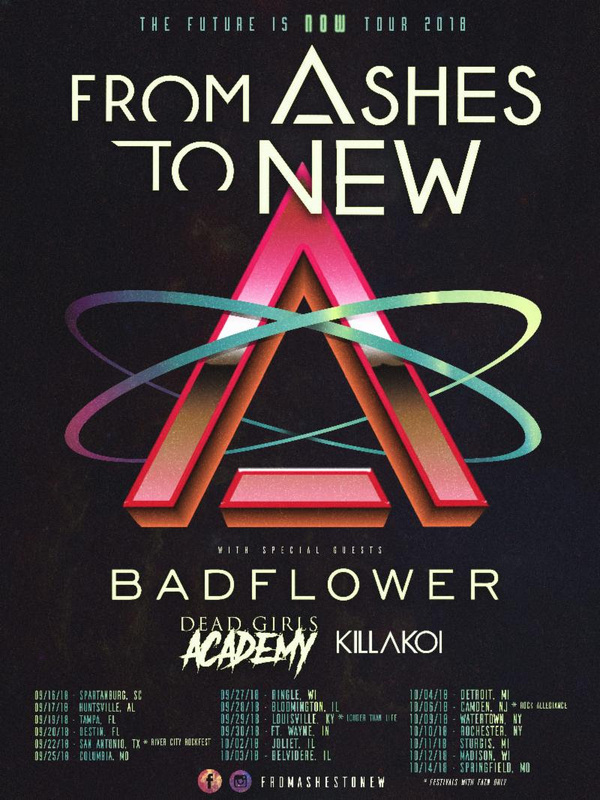 In addition to their headline tour, From Ashes to New will be opening for Five Finger Death Punch and Breaking Benjamin on their fall arena tour. The band will also be performing at several fall festivals, as well as providing direct support for Stone Sour and Papa Roach on select dates. All tour dates listed below. Presale tickets with VIP packages are on sale today, with general onsale beginning Friday, August 10th. For VIP packages, tickets and more information, visit here.